The Western Tatras (Slovak: Západné Tatry; Polish: Tatry Zachodnie) are mountains in the Tatras, part of the Carpathian Mountains, located on the Polish-Slovak borders. The mountains border the High Tatras in the east, Podtatranská kotlina in the south, Choč Mountains in the west and Rów Podtatrzański (Slovak: Podtatranská brázda) in the north. The main ridge is 37 kilometers long and the mountain range contains 31 two-thousanders. Western Tatras are the second highest mountain range in Slovakia; its highest peak is Bystrá at 2,248 meters. Other notable mountains include Jakubiná (2,194 m), Baranec (2,184 m), Baníkov (2,178 m), Tri kopy (2,136.3 m), Plačlivé (2,125.1 m), Ostrý Roháč (2,087.5 m), Volovec (Polish: Wołowiec; 2,064 m), Kasprowy Wierch (Slovak: Kasprov vrch; 1,987 m) and Giewont (1,894 m). In Slovakia, they are partially located in the traditional regions of Liptov and Orava. The highest point in Poland is Starorobociański Wierch (2,176 m). 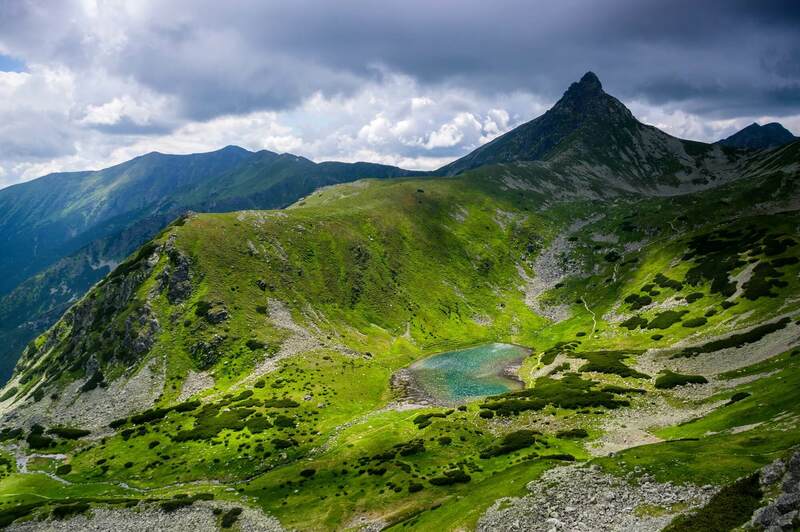 All visitors to the Western Tatras area in Slovakia are obliged since July 1, 2006 to cover all costs of their rescue by the Mountain Rescue Service. Visitors are prohibited from leaving the marked tourist routes, sleeping in the mountains or setting fire are strictly prohibited.